In this tale of two decades in the life of an immigrant household, the experience of a single family artfully reflects the fall of Communism and the rise of globalization. Ironies, subtle and glaring, are revealed: the Nasmertovs left Odessa for Brighton Beach, Brooklyn, with a huge sense of finality, only to find that the divide between the old world and the new is not nearly as clear-cut as they thought. The dissolution of the Soviet Union makes returning just a matter of a plane ticket, and the Russian-owned shops in their adopted neighborhood stock even the most obscure comforts of home. Pursuing the American Dream once meant giving up everything, but does the dream still work if the past is always within reach? If the Nasmertov parents can afford only to look forward, learning the rules of aspiration, the family's youngest, Frida, can only look back. 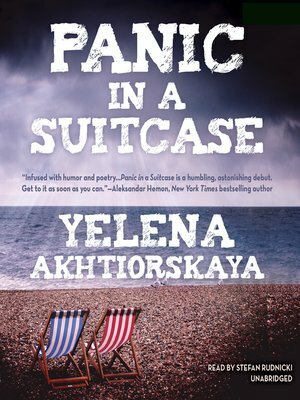 In striking, arresting prose loaded with fresh and inventive turns of phrase, Yelena Akhtiorskaya has written the first great novel of Brighton Beach: a searing portrait of hope and ambition and a profound exploration of the power and limits of language itself and its ability to make connections across cultures and generations.